miles of rolling land that drains to scattered playas and draws. Sandy loam and sandy soils lie over the county's red-clay subsoil and support a growth of mesquite, shinnery, and catclaw. Cedar Lake (called Laguna Salinas by the Spanish), in northeastern Gaines County, is the largest salt lake on the Texas plains. 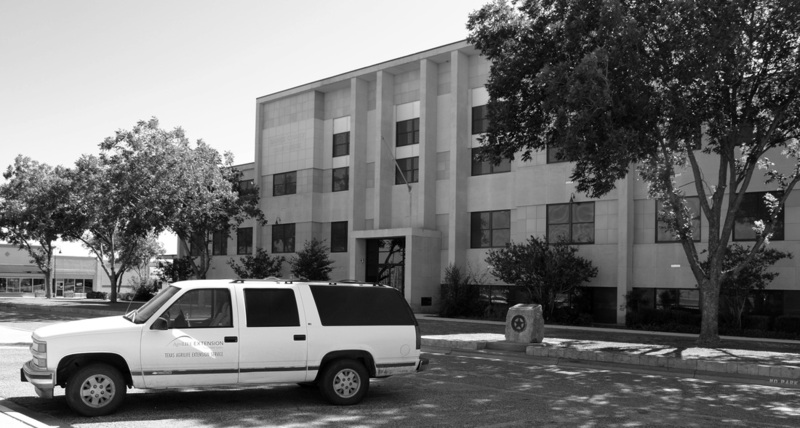 "In 1876 the Texas legislature formed Gaines County from Bexar County. 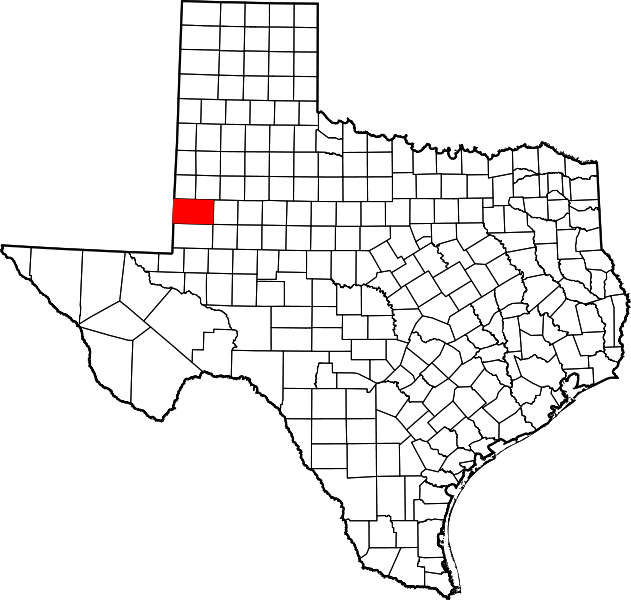 Gaines County was attached to Bexar County for administrative purposes in 1876, then to Shackelford County in 1877 and to Martin County in 1885. "C. C. Meddin, who moved his family and herd to Gaines County in 1880, was the first permanent settler; the United States census reported only eight people in the county in 1880. 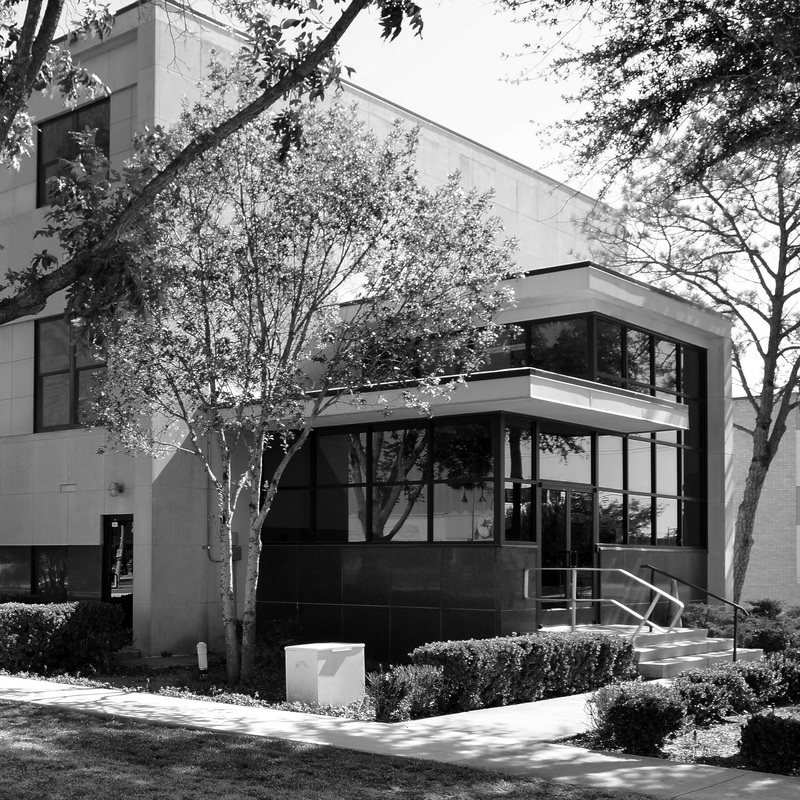 "As more people were moving into the area, the county was formally organized in 1905, with the new town of Seminole designated as the county seat. 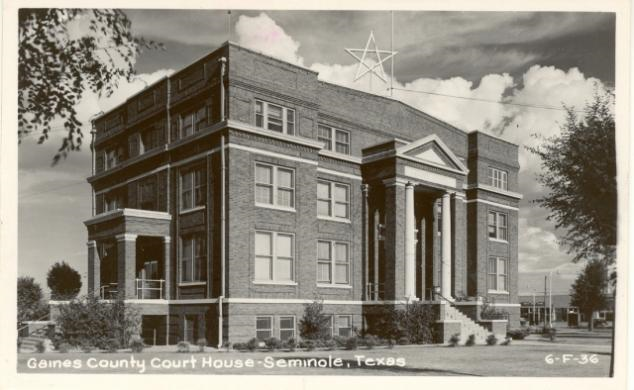 A courthouse was built in the town in 1906 and a jail in 1907. 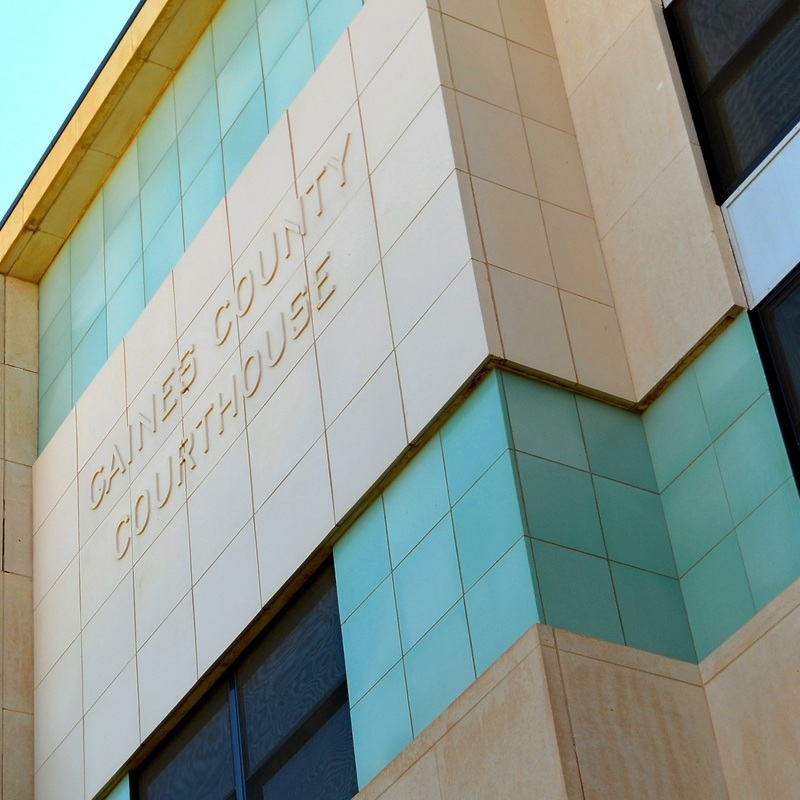 I visited Gaines County and photographed the courthouse in Seminole on Sunday, July 29, 2012. 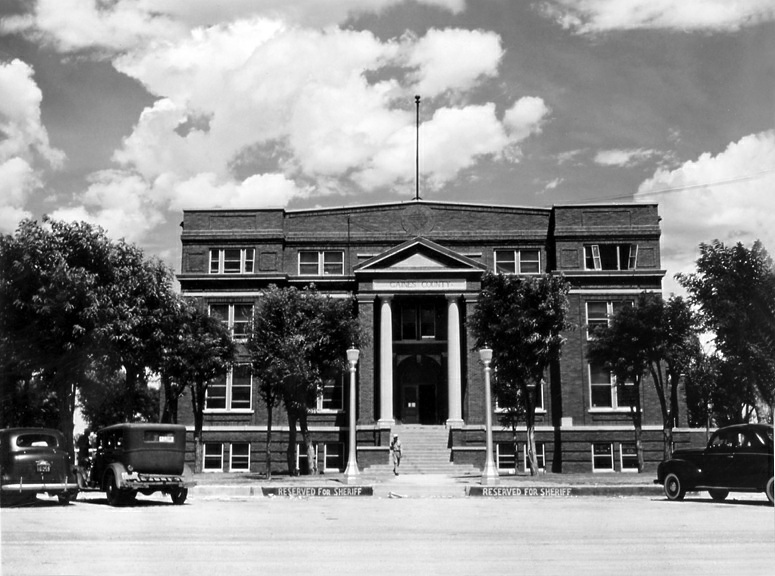 A familiar tale: the 1922 courthouse, designed by the Fort Worth firm of Sanguinet & Staats, is modernized in 1955 by wrapping a new building around the historic courthouse and additions on each side. 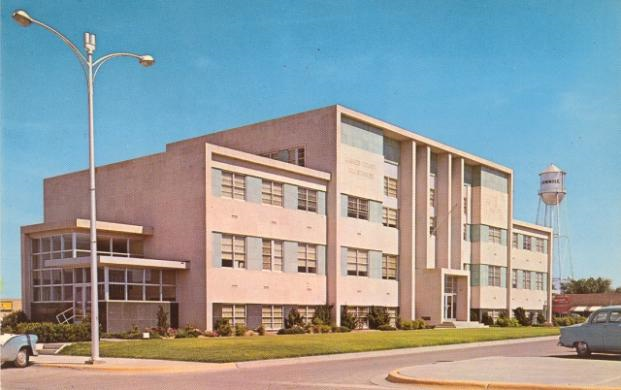 The architects for the modern courthouse were Styles, Robert, Gee & Messersmith.